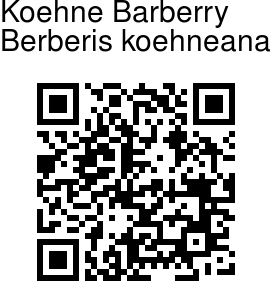 Koehne Barberry is a rounded shrub, 50-100 cm tall. Leaves are obovate-oblong, with narrowed base. The leaf tip is rounded, but has a spine. 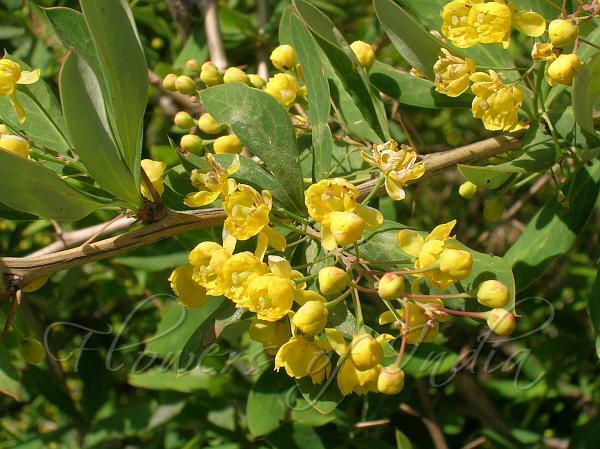 Yellow flowers, 5 mm across, are borne in branching clusters much longer than the leaves. Berry is ovoid and red. Koehne Barberry is a fast growing plant.